A study of Irish Traveller genetics has revealed for the first time that they split socially from the settled population here much earlier than thought. The research by scientists from the Royal College of Surgeons in Ireland, University College Dublin, the University of Edinburgh and the Hebrew University of Jerusalem, discovered that the divergence began 360 years or approximately 12 generations ago. It is thought that there are around 30,000 people living here who are members of the Travelling community, representing 0.6% of the total population. But a lack of documentary evidence on their history meant the origin of Irish Travellers was not clear, and the subject of debate. Previously it had been thought that Travellers had become displaced between 1845 and 1852 as a result of the Great Famine. The study also found that genetically Travellers are closely connected to Irish settled people, scotching theories that they descended from other population groups including European Roma gypsies. The researchers found that any genetic disparities between Travellers and settled people here are largely due to them remaining genetically isolated for several centuries and their numbers decreasing. In fact this social isolation has led to a few marked differences in the genomes of Irish Travellers when compared to the settled community. 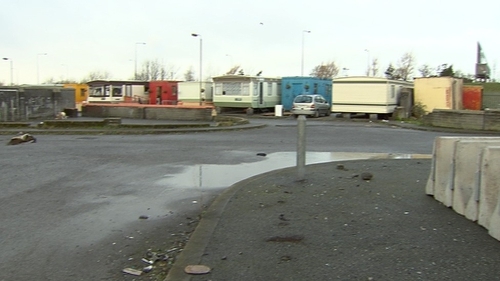 "The findings confirm that the Irish Traveller population has an Irish ancestry and this comes at a time where the ethnicity of Travellers is being considered by the Irish State," said Professor Gianpiero Cavalleri, Associate Professor in Human Genetics at RCSI's Department of Molecular and Cellular Therapeutics in a statement. "It is important to emphasise that although Irish Travellers show clear features of a genetic isolate, they are genetically very close to settled people in Ireland." "It is also interesting to observe that the isolation of Travellers from settled people predates the Great Famine. "However it's important to emphasise that our research estimates the beginning of the social divergence of the Travelling community, rather than their origin." DNA samples from 42 Irish Travellers were compared with that of 143 European Roma, 2,232 settled Irish, 2,039 British, 5,964 European and 931 individuals from the rest of the world for the study. Several genetic dating methods were also used to estimate the period when the travelling community began to split genetically from the settled population in Ireland. The research also established the degree to which marrying someone to which you are genetically related, a practice common among the Traveller community, can impact on the genetic blueprint, leading to an increased prevalence of certain disease including galactosaemia. Subtle genetic differences were also found between speakers of the Cant and Gammon dialects of the Traveller language. The findings, published in the Nature journal Scientific Reports, come three months after the Taoiseach committed to begin the process to have a distinct Traveller ethnicity officially recognised. The study has been welcomed by Traveller groups, including Pavee Point, which said it confirmed what many had thought for some time about Traveller ethnicity pre-dating the famine.